I love a good infographic ...The other day I saw this lovely post from Brain Pickings. 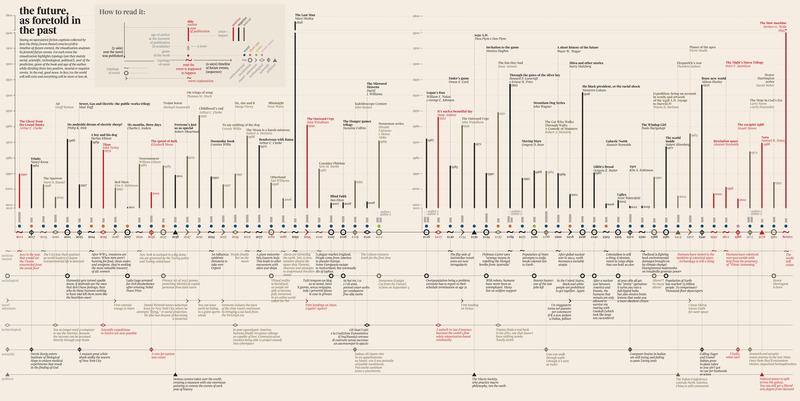 Back in August The Awl published a blog post entitled A Timeline of Future Events - a list of post-historical milestones as featured in some of the most influential literary Science Fiction works. Humans have colonized over 900 worlds with help from the processes of 'Ethnic Streaming'. We have 5 copies of the re-issued The Night's Dawn Trilogy (out in December) to give away. Just head over to the Tor Facebook page for a chance to win and there are details on how to read the infographic below.